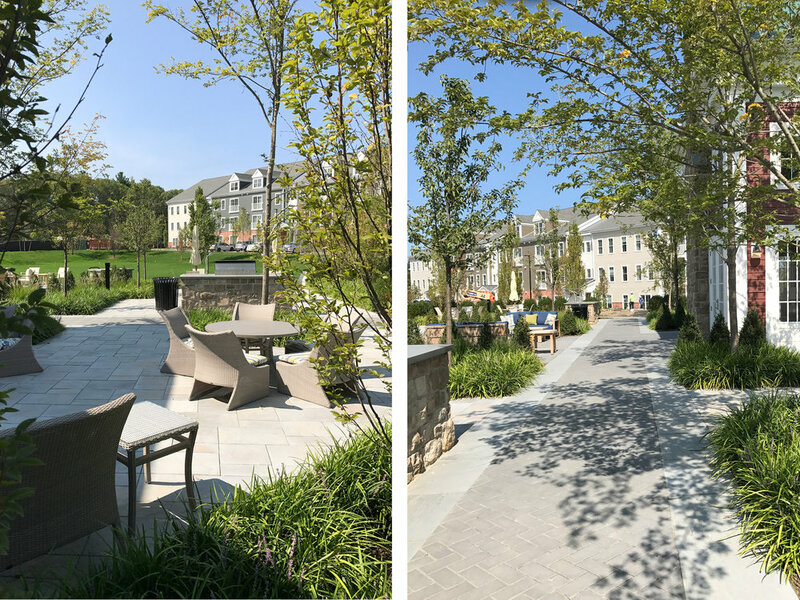 Ryan Associates provided planning and detailed site design services for this multi-family apartment community in Ashland, MA. Located within walking distance of the commuter rail, this award winning project contains 398 units spread over nine flats-style buildings. The site plan includes a centrally located great lawn with an adjacent clubhouse and pool. A central fire pit is flanked by two dining terraces with grills, tables and spaces for casual gatherings.